This product is great for pets who are messy! The Waterproof Pet Bed Liner protects the comfy foam inner of the product from spills and little accidents to keep it clean and fresh and prevents any bad smells caused by damp! This product is perfect for messy pets or a habit of getting into sticky situations. It sits on the inside of your pet bed and keeps the luxury foam inner clean and fresh and prevents anything wet getting to the foam inner! 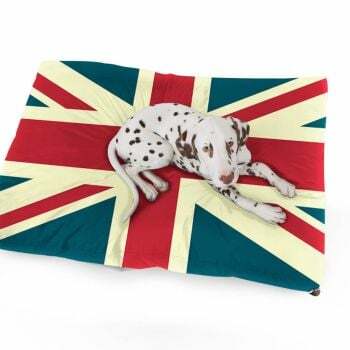 It's wipe cleanable which means it's super easy to keep clean and is available at a discounted rate when bought with a pet bed The inner is made from 100% Water resistant fabric, the colour may vary.